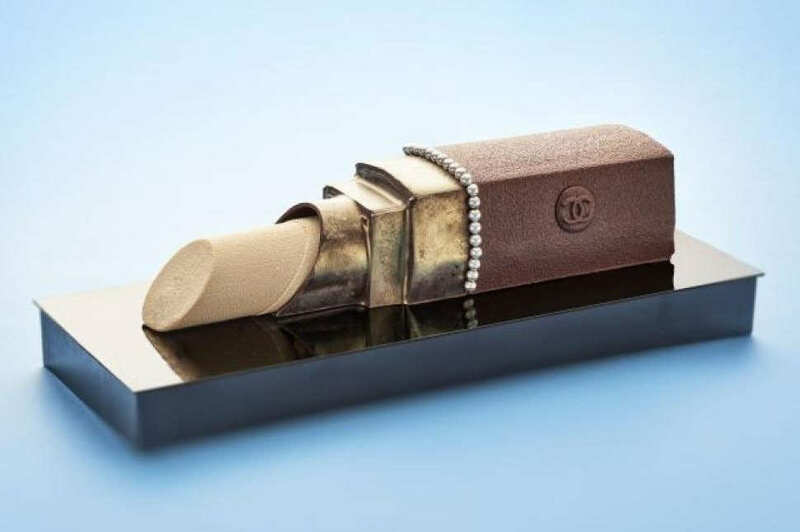 Chanel’s Rouge Coco Shine lipstick has influenced the Christmas cake (created by the Pastry Chef of Beige, Julien Kientzler, this yule log was made with caramel and dark chocolate) that Karl Lagerfeld has designed to celebrate the 10th anniversary of the Beige Alain Ducasse Tokyo restaurant, on the top floor of the Chanel Ginza building. 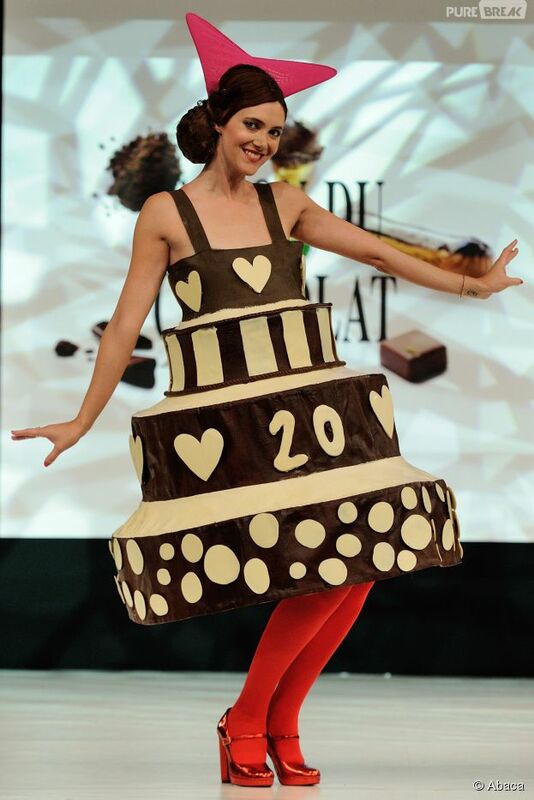 Chocolate birthday cakes influenced the chocolate dress, worn by TV hostess and actress Sandra Lou, that Ágatha Ruiz de la Prada and chocolate maker Joël Patouillard created for the Chocolate Fashion Show, presented on October 28, 2014, of the Salon du Chocolat, for its 20th anniversary. To read about chocolate-inspired collections and items, search for the « Chocolate » post that I have published on November 5, 2012. One dress of the Jeremy Scott Autumn/Winter 2006-2007 Show, titled « Eat the Rich », paid homage to chocolate cakes. To read about chocolate or cakes-inspired collections and items, search for the « Chocolate » and « Cakes » posts that I respectively published on November 5, 2012, and on July 25, 2013.